Reading, Pa. – Political scientist and author Matthew Levendusky, Ph.D., will present “How Partisan Media Polarize America,” the inaugural lecture in Albright College’s new series, the Spancake Lecture on Political Discourse in America, on Sept. 19, at 4:30 p.m. 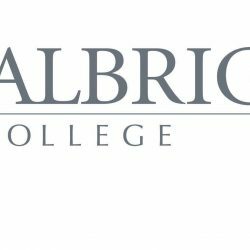 The event, held in Albright’s McMillan Student Center South Lounge, is free and open to the public. Levendusky, author of the book How Partisan Media Polarize America, is an associate professor of political science at the University of Pennsylvania. His research focuses on understanding how institutions and elites influence the political behavior of ordinary citizens. This broad question is taken up in studies of mass polarization, voter cue taking, the impact of partisan media on ordinary voters, and a variety of other questions. In How Partisan Media Polarize America, Levendusky examines the impact of the broad array of news outlets today, including partisan cable channels, and the effect on those who watch and on national politics. Levendusky is also the author of The Partisan Sort: How Liberals Became Democrats and Conservatives Became Republicans. The Spancake Lecture on Political Discourse in America is funded by Jenny L.’71 and Steven C. Spancake, with the goal of bringing prominent speakers to Albright, representing a range of perspectives, and to encourage dialogue on some of the most pressing and controversial issues facing the nation.